Tennis has quickly become one of the world’s top 5 played sports, with over 17.9 million players in the US alone according to 2019 reports from the Tennis Industry Association. 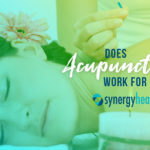 While the activity can get us up and keep us moving, it does involve quick movements and repetitive, forceful impacts that can sometimes strain muscles, tendons and joints. 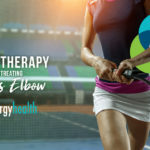 If you’ve been playing often without adequate rest or with weak muscles and poor form, or if you have a job that requires similarly repetitive movements, you might end up with the forearm and elbow pain condition called “tennis elbow.” What is Tennis Elbow, and what tennis elbow treatments will help you find pain relief fast? Tennis elbow is a repetitive stress injury caused by straining the same muscles and tendons in the forearm because of overuse. It can affect up to 3% of the population, mostly in adults between 30 and 50, but only 5% of these cases actually come from playing the game. Many jobs require repetitive movements with the hands and arms that can create similar conditions. Weak muscles, incorrect biomechanics, and not enough rest will ultimately lead to small tears in muscles and soft tissues like tendons and ligaments that become inflamed, causing pain and weakness. What are the best tennis elbow treatments? Laser therapy also works well in conjunction with other tennis elbow treatments like physiotherapy. In a 2007 study, researchers from Peloponnese University in Greece determined that using cold laser therapy in conjunction with plyometric exercises was far more effective in providing significant decreases in pain and significant improvements in range of motion after 8 weeks of treatment than in patients that received exercise therapy alone. 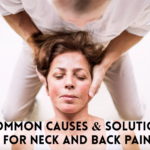 Looking for Laser Therapy for Pain Relief? At Synergy Health, we believe that surgery isn’t your only option for pain relief. Our team of experts works together to create treatment plans that enable our patients to truly get well, innovatively providing pain relief without the need for opioids and drastic surgical interventions. 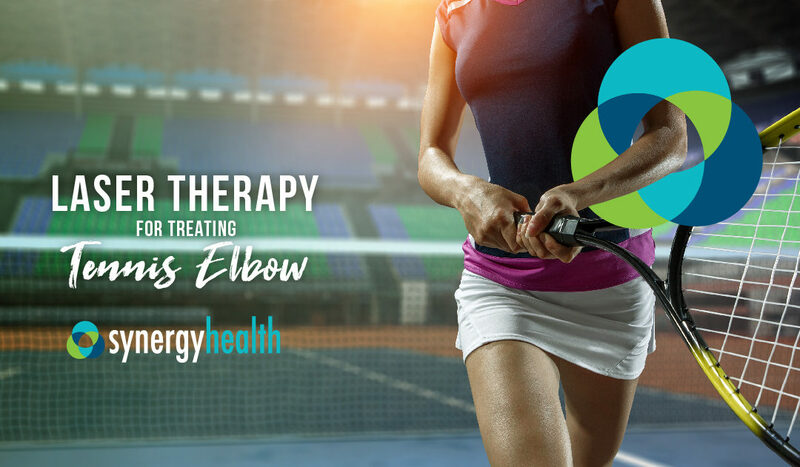 If you’d like to learn more about our advanced laser therapy treatment for tennis elbow and similar conditions, contact us today for your personalized consultation!